4 Reasons you should choose a licensed speech-language pathologist to see YOUR child! 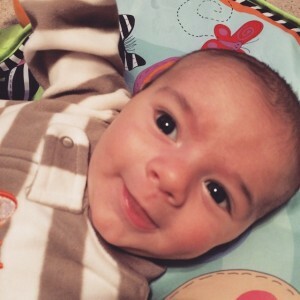 5 things you can do to stimulate language development in your newborn! I recently gave birth to my second child and it has given me the opportunity to relive the stages of language development first hand! I remember when my daughter was born it was so nice to be able to see all the milestones I had read about in my speech/language development classes and I’m so happy to have the opportunity to experience it again. Here are 5 things you can do starting at BIRTH to help promote speech/language development in your child! Use Motherese – Motherese is language that is simple, repetitive, rhythmic and often spoken in a high pitch and at a slower rate. We often use motherese instinctively when we use “baby talk” with our children. Watch for your child’s early communication milestones – even right at birth we can start to notice our babies trying to communicate. Crying, cooing, smiling and eye contact are all part of the early states of communication. Watch for these milestones so you can start to learn what your baby is trying to tell you. Talk to your baby – it may seem silly to talk to someone who can’t talk back. However, your child is hearing and learning language right from the start! Don’t be afraid to talk through your day and “narrate” what you’re doing for your baby. Respond to your child’s communication attempts – if your baby says “coo” and “goo” to you, say “coo” and “goo” back! When your baby hears you respond it will encourage more “talking” and will let your baby know he is being heard! Sing! – It’s time to break out all of those repetitive children’s songs you remember from when you were little. The Itsy Bitsy Spider, If You’re Happy and You Know it, etc.. These simple and engaging songs will draw your child in and promote language through song. Get silly! – Don’t be afraid to let lose. Make noises, sing songs, make silly faces – these things will draw your baby to watch you and your face and will promote communication. I hope these tips help you think about ways to engage with your infant and promote speech/language development starting at birth!